Michael Cohen, former personal attorney for President Trump, claims Trump approved "going ahead with" the 2016 Trump Tower meeting, in which Donald Trump Jr. and other Trump campaign officials met with Russians to offer the Trump campaign dirt on Hillary Clinton, reports CNN. Why it matters: Cohen's claim contradicts denials by Trump, Trump Jr., their lawyers and administration officials who say then-candidate Trump was unaware of the meeting until he was approached about it by the New York Times in July 2017. Cohen said he is willing to testify in the Mueller investigation, but does not have any corroborating evidence other than his claim. The details: Cohen claims that he, along with several others, was present when Trump was informed of the offer from the Russians and then-candidate Trump approved going ahead with it. The backdrop: Cohen testified last year privately to both the Senate and House Intelligence Committees on Russian interference , but CNN reports that he did not testify then that Trump knew about the meeting beforehand. To this point, it has been unclear what Trump knew about the meeting. Donald Trump Jr. initially said he did now know whether his father knew about the meeting. 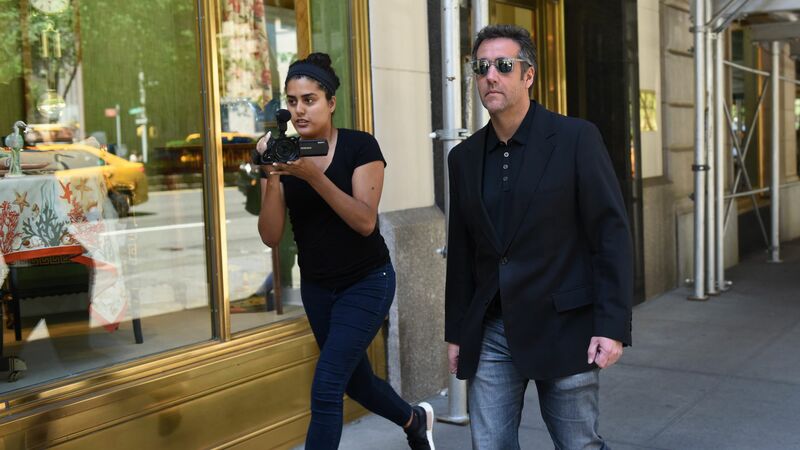 Between the lines: This is yet another step in Cohen's full heel turn on Trump. He has been more vocal against the president in recent weeks, saying Trump isn't his "first loyalty" and questioning his fitness for the presidency.